240 x 165 mm, 16pp. This collaboration with Henrik Schrat to create a comic book in one day, forms part of his 'One Day Comic' Series. Without any previous preparation, two artists meet in the morning, and start to develop a comic strip together – to be completed in one day. 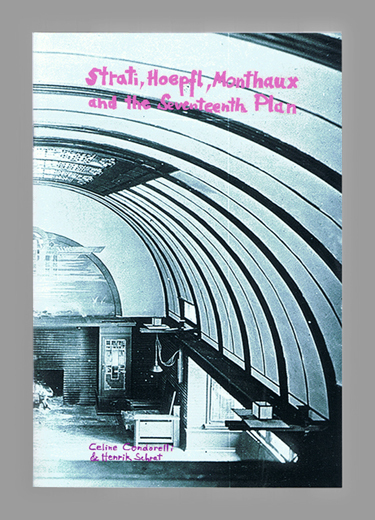 The picture on the cover and page 8/9 is Frank Lloyd Wright's home and studio, Oak Park, Illinois, built in 1889. Parts of the dialogue are taken from Alphaville by Jean-Luc Godard (1965).